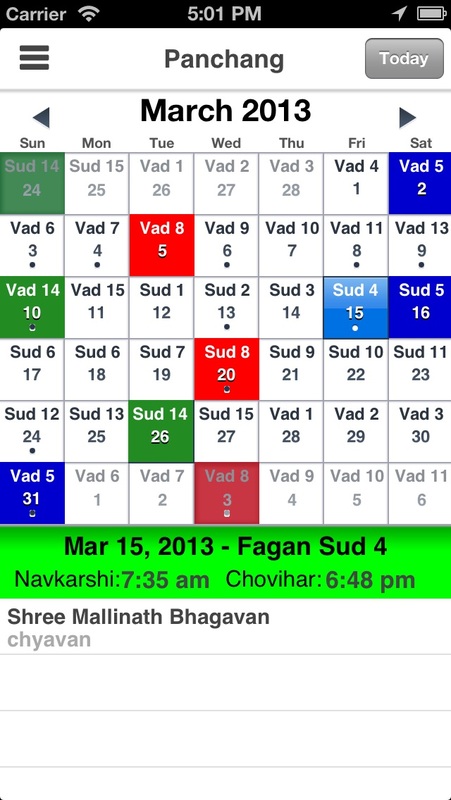 If you outside of your city find nearest jain temple this app is for you. 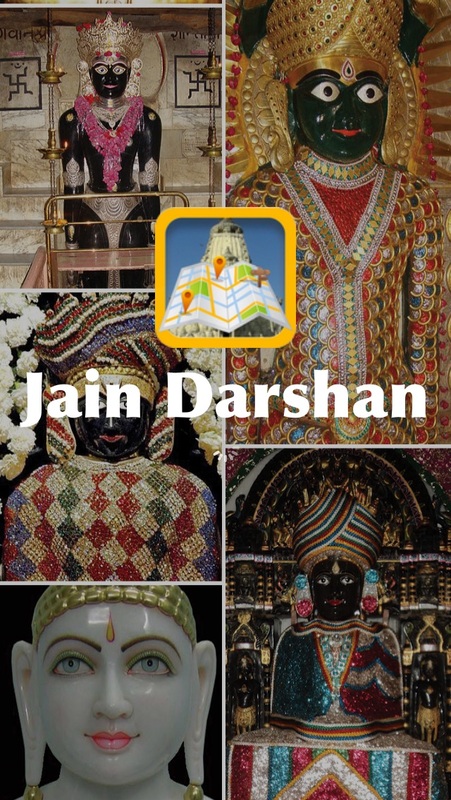 Jain Darshan provides the list of nearest temples from your current location. Provides the contact information like, Address, Contact No, Web URL etc. Provides the other information like, Nearest Bus stop, Airport, Temple provides Bhojanshala & Dharamshala or not. 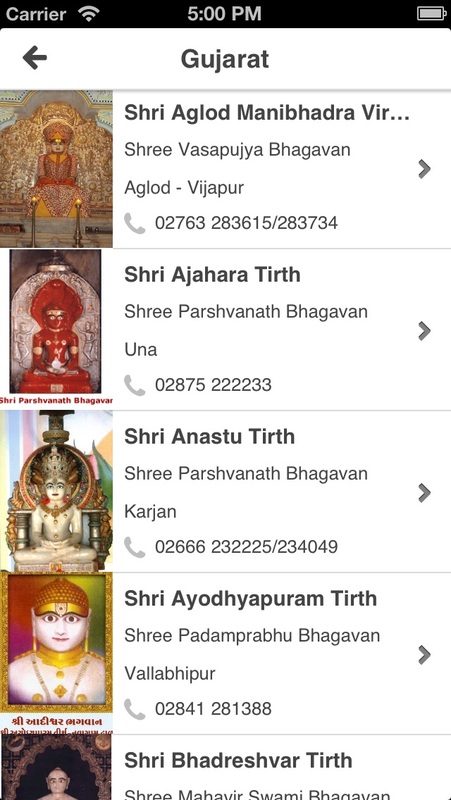 User can see pictures of temple as well as you can also add picture in the temple gallery. User can find more temple in radius of 50 km selected temple in list formate. 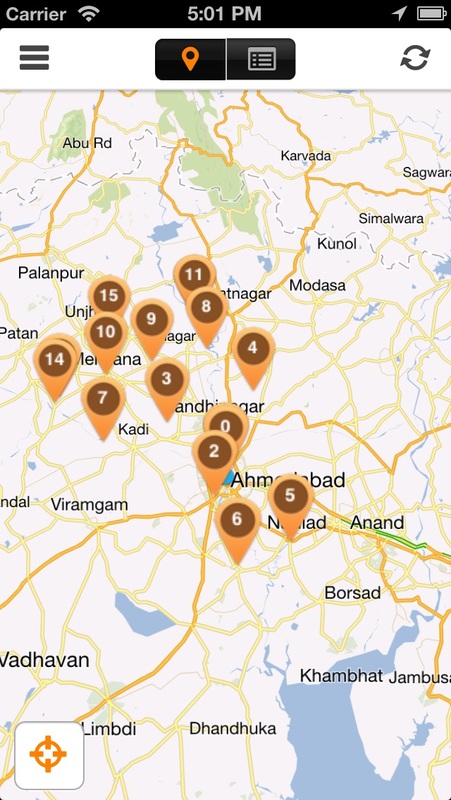 User can find the drive to route from current location to selected temple. Most useful feature of the app is "My Temples". Here user can add new temple by clicking on add icon which is locate on the right side of the header. User can add new temple information step by step. User saved temple information locally in phone if Internet connection is not available. 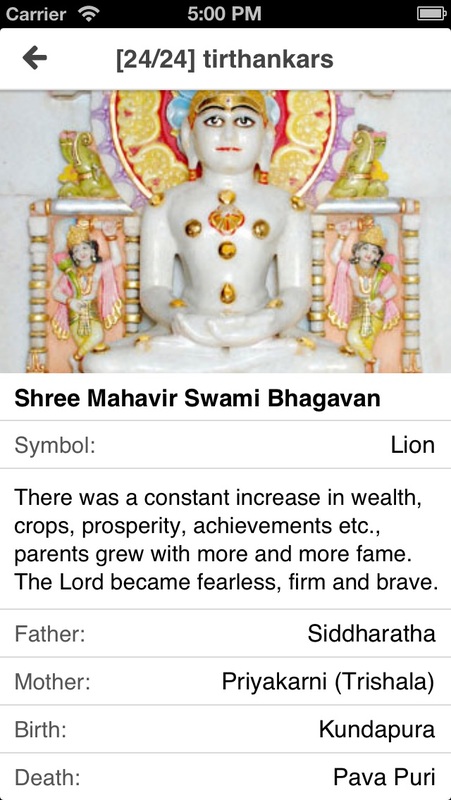 Another userful feature of the Jain Darshan is "Favourite". User can make temple favourite by clicking on favoutire icon in temple detail. User can also get his/her favourite temple information if internet connection is not available. User can find "Route" of two different temple by typing temples name. User can set the default radius for application in "Settings". Application offers 10, 25, 50, 100 Km range.